Culture is born in a region. It is the way people of a region lived for centuries. The climate and the natural resources of that region dictated their way of life. Cultural traits transferred from generation to generation and so the new born by virtue of inheritance quickly adapted to that region and cultural ethos. Culture promoted communality. People left their homes, came out into the streets and participated in communal activities. The festivals marked the seasons, the rites grew out of their beliefs, the education comprised of their knowledge of the region they lived in, it’s soil and the climate and the place it occupied in the Celeste. The attire and the adornments of its members, primarily female, symbolized its cultural identity. Religion, as history attests to it, began in a region that has already bred a culture. Culture predates religion. A member of a culture underwent a phenomenal transformation in the psyche and thereby became a conduit for the divine to express itself through the person. This person then proceeded to articulate the discoveries in the language and symbolism of that culture. A whole paraphernalia of rituals grew around these divine utterances and their interpretations (impossible to distinguish as time went by). Religion then extended from a personal affair to a communal belief system. The group of people from among the community and closest to the so-called realized person arrogated to themselves the right to proclaim and pontificate in the name of the divine and lorded it over the whole community. Religion was thus subsumed under the culture and became entrenched and bound by it. Culture may change over time, adapt to new situations, borrow from other societies, or devise new ways of living in a world that is compellingly cooperative, rather than communal and therefore isolating in its function. Religion, thanks to its cultural base, is also subject to change, and the rise of fundamentalism is a reaction to prevent it. However, it is important to note that it is not religion per se that is changing. Rather, the change is seen in the manner in which it is practised. Religion, as it is experienced by the person in question, cannot change, for it is over for and with that person. One may adopt a religion, but not a culture, for it is easy to practise the rituals and hold the beliefs, but culture is a whole lot more than that. It is what produced you in the first place: the dress you wear, your mannerisms, your gut reactions, language and everything you identify as the ‘me’. e experienced the divine transformation. Rather than propounding a new religion or a sect, they explained the essence of divinity in the language and beliefs of that culture. It appears that religion belongs neither to a region nor to any culture. Rather, it is expressed by and for individuals and therefore not a cultural or communal affair. There is power in numbers. The combined power of a group is more than the sum of its individual members. The little pool of water gains strength after it joins a lake. The lake in turn becomes stronger when it is fed by a river. The power of the ocean enters a river when it joins eventually. Power grows by grouping. In the forest, animals move in packs and droves. We humans derive power from communities. Whether it is a mob, a random group, or an organised group, power lives and grows in it. Religion and politics thrive around organised communities. So also radical and extremist groups. Because in them resides enormous power that the group’s leaders can wield. We are awed by the sound of drums beating with metronomic regularity by a mechanical device. Clapping and nodding with it we endure with pleasure the long line of people awaiting a glimpse of the deity. Carved in stone, clothed in silk, decorated with a garland of flowers and kumkum, the idol is made to look resplendent in the dim light. The chanting of the priests adds rhythm, the burning incense, the handheld diyas, all this creates a sensation that we have come to equate with devotion. The idol looks like any other we have seen before, made in the likeness of man and woman, an animal or a cross between. This is the god we have come to believe as our saviour. Not knowing the true essence of God, we offer oblation to an image of ourself, to which we relinquish our responsibility for all our actions. The God is endowed with human qualities – s/he can get angry, retaliate, expect subjugation, terrorise us with dire consequences and so on. All the so-called gods were in fact men with unusual capacities. Even the women who lived a devout life eventually transformed into a goddess. Men represented Shiva or Vishnu and women their consorts. And the tales woven around them are sometimes like our own and sometimes outright bizarre. But a human family nevertheless – we are talking about gods here and our adoration to them which can be seen as nothing but fantasy. Is it because we love our own invention that truth eludes us? Consider this – driving under the influence of alcohol is dangerous not only to the self but also to others on the road. The keyword here is not driving, not alcohol, but as you might have guessed it is influence. If you have observed carefully you would have noticed that when we react to situations we are *influenced* to react in a particular way. Influence is a major factor in our lives. Parents influence us – in matters of culture and religion. Teachers influence us in the way we talk and understand things. Media channels (TV, nespaper/journals, social network) influence us in the way we react to politics and events happening in the society. Ads influence our dressing and makeup. We are influenced to take sides and to make choices. All our thoughts, ideas and tastes are the result of influence from someone by way of example, speech, writing or gossip. We are encouraged from the very beginning to be in ‘good company’ and avoid ‘bad’ influence. By this we acknowledge the power of influence, but that encouragement is itself a product of influence. Bummer! Influence is very subtle unlike propaganda but both achieve the objective – to force another to think like me. We think we are free to think anything, but influence in any form prevents free unbiassed thinking. Influential people are a danger to the society. And the people like you and me who act under their influence are a danger not only to ourself but also to others who come into contact with us. Hope is invented to counter the debilitating effect of anxiety. In the physical world, invention improves the living conditions, except of course those inventions that are used only to destroy. In the psychological world, invention distorts the mind, creates illusions, etc. Insecurity is the prime mover in the world. All actions appear to stem from it, except those performed spontaneously. Insecurity causes anxiety, which is fear of what might happen. Hope is the weapon to fight it with. But so long as the cause of insecurity is not found, fighting its consequences is a futile effort. It is a waste of energy. It is counter-productive. It is debilitating in the long run. Fear is like a messenger: it comes bearing the information about the underlying cause of anxiety, of insecurity. Fighting it, or worse, the attempt to eliminate it, is like killing the messenger. After several false starts I have at last embarked on a journey to put together interactive educational content on the web. The primary goal is to make the content useful, simple and uncluttered. It is also meant to be interactive. It has been a wonderful journey so far as I continue to update the site daily, adding infocards, a term I use to refer to informational cards. I have always wanted to present information as nuggets, snippets, chunks. Here at last I found the way that is both convenient and satisfying. Hopefully the viewer and the learner alike Will find the website as interesting as it has been for me while developing it. It is worth noting here that the entire site design, the user interface and the content, has been a one man’s show. But I expect someone out there would find it interesting enough to contribute and or collaborate. The inequalities can be plotted on a graph paper as you would a normal equation of the form ax+by+c=0. Operations such as addition, subtraction, multiplication and division can be performed on inequalities as you would on normal equations. The same rules apply. The same number can be added on both sides of the inequality so that the original value does not change. This rule is applicable to subtraction, multiplication and division also. Our life is one of acquisition. From childhood through all adult life, we devote our energy to acquiring things. Acquisition promotes distinction. As a child we acquire knowledge. Knowledge about nature, about mathematics, the scientific laws and about our wars and the famous people who influenced us down the centuries, about our religions and so on. Without knowledge we are considered ignorant, uncouth and fit only to live in the wild. We also know a lot about other people, our neighbors, friends, relatives, our heroes etc. Very soon we become walking encyclopaedias with varying degree of acquisition levels. We also acquire skills in trade and art. We also acquire knowledge about our community and culture and how it is superior to that of another people. We acquire through inheritance (physiological or psychological) our prejudice against people of another community, another culture, another nation or another race. We also acquire the sophistication that hides our prejudices behind a veneer of nobility. The primary concern of educators is the imparting of knowledge, thereby facilitating the acquisition of knowledge, the primary goal of education. The knowledge so acquired is measured and graded. The grade represents the capacity of the person to fit into the society in order to fulfil its needs. The unstated goal is to promote only those who have acquired most and consistently demonstrated it through examinations at every level. There is a certain pride involved in this acquisition and the subsequent recognition that follows from it. There is also a certain status associated with it in the society so that special privileges may be granted to the person with superior knowledge levels. The need to acquire follows us into adulthood. We strive to acquire wealth, property and position in the social hierarchy. Acquisition helps us build respectability. Our power to influence people increases considerably. The more we acquire, the bigger we become. Is there any activity that does not involve directly or indirectly acquisition of some kind? To make ourselves look attractive we acquire a wardrobe of fashionable clothes. Wealth and property endow us with superiority and respectability. Books point to our erudition. Power and position distinguish us from most other people. Every thought we entertain affects sooner or later every other person around us, ranging from the family to the world at large. Thinking outside the box, outside the framework of morality, if we look at the consequences of every thought when it translates into action, we see that it influences others one way or the other. The influence can range from making friends or enemies to making or breaking families, or even affecting the society at large. The cascading affect of the consequences of our thoughts may take any time, which may range from moments to eternity and to every other possible duration in between. Thinking is the most potent tool we are endowed with, but unfortunately it is not regarded as such, even blatantly abused by almost everyone all the time. It is as though we have taken it for granted even though it defines us in ways that we cannot even imagine. We seem to cover it up through mores and etiquette. There are passing thoughts and there are thoughts that recur. It is the recurring thought that demands to be expressed. Often without considering its consequences, we allow such thoughts to fructify into actions. Thought is a seed that is always looking for a fertile field to take root. After taking root, it is ever in search of sustenance to grow and bear fruit. It is no longer sufficient to look at the thoughts that have taken root in us from the point of view of social morality, which itself undergoes change from time to time and is also heavily dependent on the culture that has shaped it over centuries. Perhaps a more rational approach would be to study carefully and understand its consequences and then decide whether to stick to it or abandon it in the interests of the one and the many. Thought may not be a personal thing at all, though we like to believe it is. And because we think it is personal, we don’t consider its consequences in full measure. It may be personal as long as it is inside the brain it is born in, but the moment it morphed into action, it affects all those who come into contact with the person that has harboured it in the first place. Every great achievement and every lowly deed in this world has its origin in a thought. Once it has taken root in a mind, it survives the mind by transference. It hops from mind to mind looking for that which will translate it into action. Like a bullet that is meant to explode, it feels at home only in a gun that fires. It is clear that thinking is the root of all action. It is thinking that motivates us. It is thinking that is the driving force in us. Even when we are idle, we are lost in our thoughts. Thinking we all know is basic to all of us. Descartes has said it eloquently: I think therefore I am. Thinking makes us feel alive. Thinking for the mind is like breathing for the body. It happens whether we are conscious of it or not. It is happening all the time. Thought is perhaps the consequence of the act of thinking. We turn our attention to thoughts, analyse them, categorise them and so on. But we seem to ignore the very act of thinking, the process by which thoughts arise. What is the nature of this endless internal activity called thinking? How does it occur? Is it really required for the brain to survive, like breathing? Is it possible to think when we need to solve a problem and not think at all when there is no challenge from the outside? "mind map" workflow brainstorm activity plan project ideas thoughts productivity "thought map"
A mind map is considered the most effective way to brainstorm and organise one’s thoughts. It is a tool that can be used to almost any kind of activity that requires deep thinking. From executing a business project to listing todos for personal work, a mind map needs to extended its original scope of brainstorming to organized and scheduled activity. 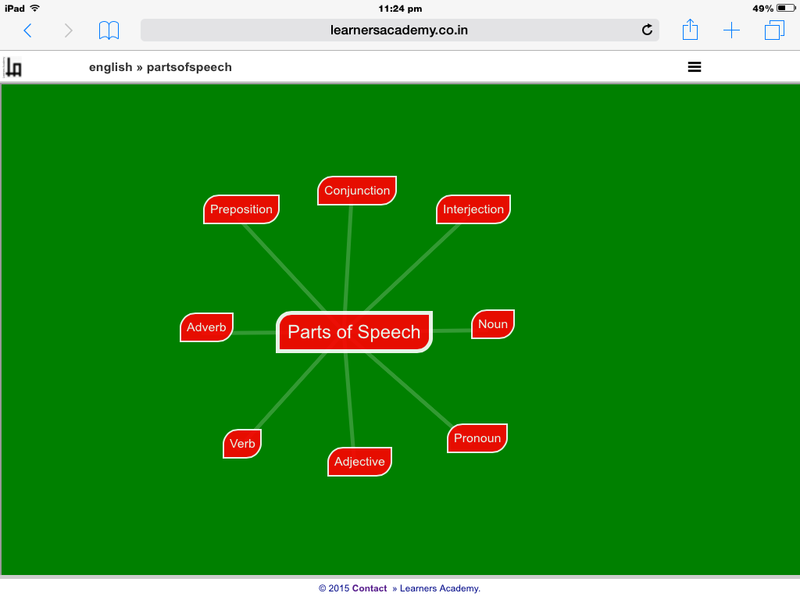 A mind map is used primarily to record one’s thoughts on a subject any which way they occur. These ideas are then considered further and refined and then rearranged in a manner that provides the perspective one wishes to bring to the subject under study. However, when it comes to executing the thoughts and ideas in the real world, the mind map is severely cramped. To execute something we need to organize the ideas, order them in meaningful ways, and sequence them as achievable targets progressing towards a goal. In a mind map there is no sequence to the nodes created. There can be no ordering of the nodes. The nodes can explode without limit and without direction. But without some means to order them, it would be very difficult to track them. Unlike a workflow, a mind map does not provide a road map for my work; instead, it stops after uncovering and perhaps refining the clutter in my brain. A mind map stops short of being a workflow. A workflow could be added to the mind map which then can provide an order, a sequence, to the nodes which then become live. The workflow can provide an ordered set of nodes that can be visited in a sequence. It can also be used to track the progress of a project. The nodes can send alerts based on the timelines set for them. Initially, to begin with, a mind map may be used as a brainstorming tool. When we have captured all the ideas relating to a project, we can then order them in a sequence. This ordering prioritize the ideas, which now actually become actionable items. In a typical workflow there could be sequential and parallel flows and it grows in linear time. At each node it should be possible to capture notes, set deadlines, wait for other parallel activities to complete and help take decisions either to extend, alter or abort the flow depending on the outcomes. All these could be included in a mind map. There is currently a profusion of mind map apps on the app stores, but unfortunately none of them take this approach. It would be more useful if the mind map of ideas could be transformed into a flow of actionable items. It would then become a truly productive app.